Last weekend our son attended a family church retreat with friends, and he had a great time. Leading up to it, I had mentioned to him that the children’s Bible study sessions were going to focus on the Parable of the Sower (Matthew 13:1-9). His response: “Great! I like that parable.” I am not sure when he first learned it or made it a favorite, but it was a good sign that he was going to have a positive attitude about the experience. Really? I tried in the moment to ask a few questions to get a sense of what had upset him. Did something bad happen? No. Did you get in trouble? No. Did what the Bible says make you feel bad or did what the teacher said make you feel bad? What’s the difference? So we decided to give it a few days to settle, and I promised him that he and I would sit down together and re-read the story to see if he could explain to me what happened. On the surface this seems like a fairly innocuous parable to teach children. 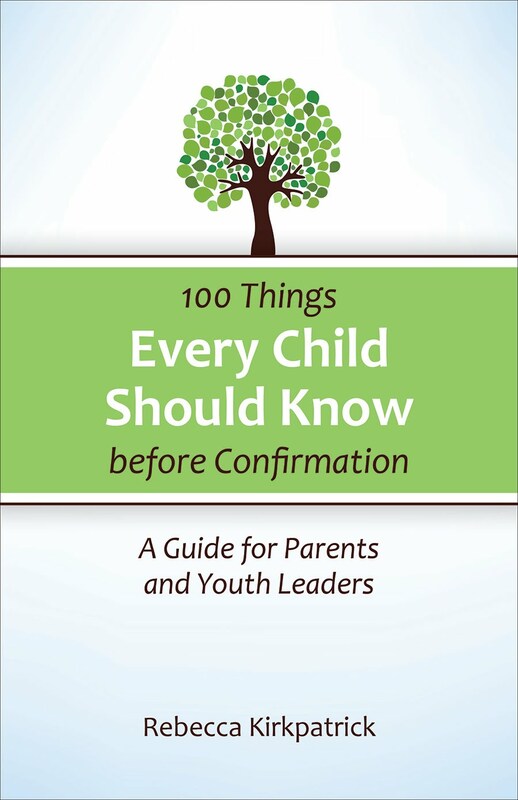 I have included it in my list of “100 Things Children Should Know Before Confirmation.” What could go wrong? I need to stop here and say that even though I am about to point out some mistakes that I believe the leaders of this study made, I might have made some of them myself. There are also some that I have learned not to make over the years. It is also important to remember that just as we as adults bring our own “baggage” and identity to our reading and understanding of the Bible, our children do as well. Is it possible that my son’s reaction to this class was 50% a result of his own struggles? Yes. We need to remember as teachers that children are not blank slates waiting for us to tell them how and who to be. So, for the weekend, each of the three sessions was devoted to talking about one (or two) kinds of soil described in the parable. Here is how he explained the soils to me. Session 1- Path - Those who hear about God and do nothing about it. Session 2 - Rocky Soil - Those who hear about God and are happy about it and then something bad happens and they wonder why God would let that happen. Thorns-Those who hear and believe but they get too distracted and don’t do anything about it. Session 3 - Good Soil - Those who hear and believe and act on their faith. He told me that it was session two that upset him the most - and specifically the description of and conversation around the thorns. He was convinced that this was him. He is thorny soil. He told me that he is not a good Christian. That he believes the Bible, but he doesn’t act on it. He is too distracted. Just a reminder that my son is nine. This seems like a pretty intense response to a children’s Bible study. But, as I mentioned above, he brings his own struggles and tends to be hard on himself. So I asked him to tell me more about what he meant. What is distracting him? What is it that he is not doing that he should be? Video games - they gave that as an example of something that might distract you from acting on the word of God. He plays a lot of video games. It didn’t take much effort for him to believe that he was thorny soil...if this is what that meant. So that was the distraction. But what was he not doing? “Telling people about God.” Ah. He said that when he had been to Sunday school at this same church, he often felt bad because they were always encouraging the children to tell people about God, and he doesn’t really do that. I pushed him then and asked if it wasn’t the case (because he eventually revealed that he spent the first session worried that he might be the path) that when they talked about the good soil he saw himself reflected in that description as well. The problem was, he didn’t get to go to that last - good soil - session, because his friends had to leave the retreat a day early. So he was left there in the thorns to get all choked up in his distracting video games. We talked for almost an hour to try to sort all of these things out in his mind and his heart. First, we talked about evangelism. I told him that there are a lot of Christians who believe that telling people about God and Jesus is the most important thing that a Christian can do. It is important work, and it is their focus. I asked him what he thought was the most important thing for a Christian to do. Helping people. That is his experience of Christianity. It’s how we talk about it at home and at our church. I asked him if he thought he did a good job helping people in need. He did...because he actually does. We re-read the verse about the thorny soil, and I asked him what it would mean if we explained it as describing people who hear the word and believe that they are supposed to help others, but get too distracted by only helping themselves. That seemed pretty reasonable to him. Being a Christian is lived out in many different ways, and so when we paint such a narrow picture of what it means to faithfully respond to the word, we communicate to children that faith expression and discipleship is a black and white endeavor, whereas in reality it involves a lifetime of sorting through the grey. Then we talked about video games and the Bible. I told him that while the Bible speaks to us today and we can relate our modern experiences to this ancient book, I was pretty sure video games were not what Jesus (or the writer of the Gospel of Matthew) was talking about in this parable. I also asked him why in all of this he never thought that he was the rocky soil - those who hear and believe, but as soon as tragedy strikes they doubt. It was simple. He had never experienced anything in his short and incredibly blessed life that would make him question the power of God. I gave him a tragic example, and he confessed that if indeed that happened he might turn into rocky soil as well. We try to relate the Bible to children’s experiences by giving them examples from their own lives, but sometimes those examples really are not apt or can over-simplify complicated issues of faith. When the Bible says that the cares of the world and the lure of wealth in the world choke the word it is describing something that I would guess most children have not had a lot of experience with. This is hard, because we validate their faith and their faith expression as being good, yet their experience with the depths of faith is usually very limited. This parable talks about some of the essential struggles that befall a human being when it comes to responding in faith. Interestingly when I tried to suggest that each person at different times could be any one of these soils, that at some times we are more receptive and responsive to the word than at others, he balked. That is not how it works, he believes. A person only improves on their fertility as proverbial soil. Once you are good soil, you never go back. His experience of faith just couldn’t help him relate to the concept of backsliding. 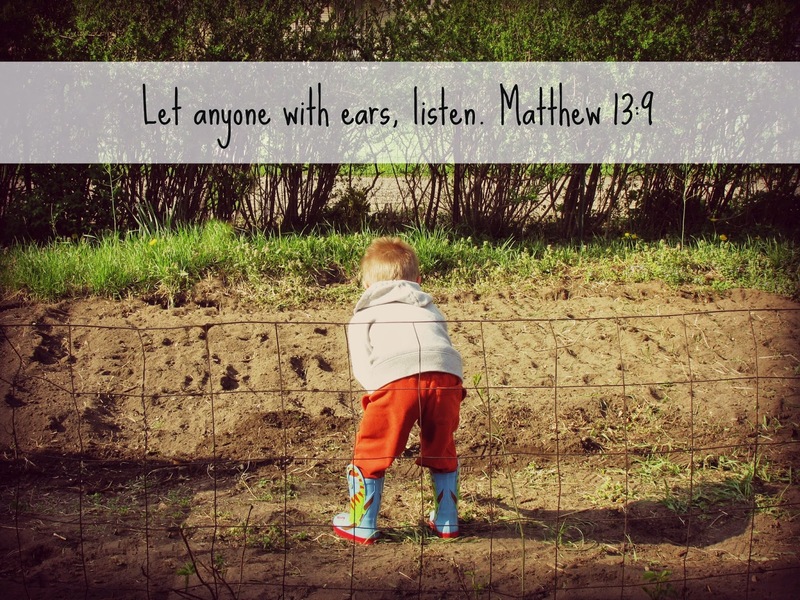 We talked about why we teach this parable to children in the first place. I told him that I believe this is an important parable to teach children, because as he grows in his faith he needs to understand that influences in the world and his own receptivity will affect how he responds to God. Teaching him this vocabulary of faith will give him a language to express his growing and changing experience of faith. The problem with spending three entire sessions on this parable is that instead of being able to make the larger point of there being different ways people respond to faith, the focus was on being able to actually identify and describe which people fit in each soil category - including themselves. The good news of the parable is in the cultivation of the good soil. That means that they ended two sessions with little focus on that. If I had three sessions to work with children on this parable, I might instead have spent one session on The Parable of the Sower, one on The Parable of the Weeds in the Wheat and then one on the Parable of the Mustard Seed - all of which come from this same chapter in the Gospel of Matthew. Each of them provides a different “growth”metaphor that taken together paints a broader picture of how Jesus talks about faith, how our faith grows and what faith looks like. First, sometimes the way people interpret the Bible and teach us the Bible can make us feel bad, and that is a hard thing. Second, sometimes the Bible all on its own makes us feel bad, and that is because the Bible teaches us that God and Jesus have high expectations for us. Often we don’t meet them, but we never stop looking for ways to fertilize our own hearts and minds. It would be too easy for me to be critical of the leaders of this Bible study and claim that they manipulated this parable to guilt my son into being a better evangelist. Chances are, something that I have said about the Bible and about faith in all earnestness has made a child (or even an adult) mis-understand or feel bad about their own life of faith. The greatest lesson that was reinforced for me was not as a pastor and teacher but as a parent. When we teach children the Bible in the classroom the learning, understanding and growing don’t stop there. They flourish and bloom when we continue these conversations at home. We could have just let his experience go and assumed he would get over it eventually. By taking the time to really encourage him to re-read the parable and to describe his feelings, his impressions and his own interpretation to me, we wound up having one of the most fruitful conversations about faith, the Bible and how we make choices in our lives than we ever have before. Even a bad Bible study experienced planted seeds within him that I am confident will in time grow into a deeper experience of faith. Okay. I just chose this passage for our "Family Camp" scripture, but it will all be on one day for one worship service and in our PC(USA) congregation, I'm pretty sure there's no danger in equating the good soil with evangelizing. In all seriousness, though, this post really made me think. Thank you. It seems to be the most argumentative situation. I guess there must be something that the bible have stated which the certain circumstances have flaws. Good thing that you have able to put a lot of insights regarding this parable that you have explained. © 2012 - 2016 Rebecca Kirkpatrick. All Rights Reserved. Simple theme. Powered by Blogger.